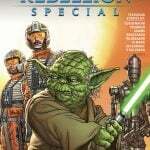 The post Review – IG-88 Doesn’t Play, Yoda Finds Hope, And Porkins Takes Time for Self-Care In Marvel’s Age of Rebellion Special appeared first on Star Wars News Net. 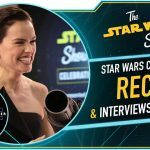 The post The Star Wars Show: Star Wars Celebration Recap and The Rise of Skywalker Cast Interviews appeared first on Star Wars News Net. 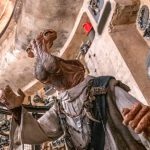 The post At the Edge of Star Wars: Galaxy’s Edge appeared first on Star Wars News Net. 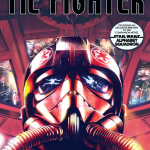 The post Review: Heroes Are On Both Sides in Marvel’s ‘Star Wars: Tie Fighter #1’ by Jody Houser appeared first on Star Wars News Net. 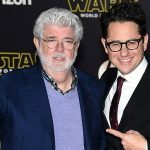 The post J. J. Abrams’ Meeting With George Lucas Happened Prior to Writing ‘The Rise of Skywalker’ appeared first on Star Wars News Net. 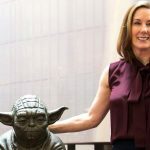 The post Star Wars: Kathleen Kennedy On Future Stories for Sequel Trilogy Characters, the Planned Return of Palpatine, and Potential Old Republic Era Content appeared first on Star Wars News Net. 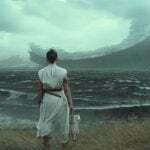 The post Star Wars: The Rise of Skywalker Ending Was Changed Slightly Mid-Production, Daisy Ridley Confirms appeared first on Star Wars News Net. The post J. J. Abrams Promises The Rise Of Skywalker Isn’t a ‘Remake’, Will Honor All Star Wars Films appeared first on Star Wars News Net. 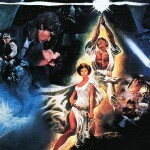 The post Star Wars: The Rise Of Skywalker – J. J. Abrams Consulted With George Lucas, Lawrence Kasdan, and Rian Johnson appeared first on Star Wars News Net. 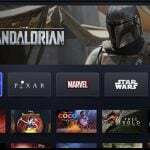 The post The Mandalorian Season 1 Won’t Drop All at Once on Disney+ appeared first on Star Wars News Net. 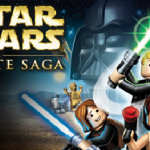 The post Development On New LEGO Star Wars Game Confirmed; Will Reportedly Feature Skywalker Saga and Expanded Universe Content appeared first on Star Wars News Net. 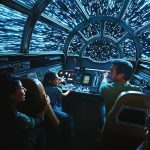 The post Star Wars: The Rise of Skywalker – A Look at New Images from the Star Wars Celebration Stage Behind-the-Scenes Clip appeared first on Star Wars News Net. 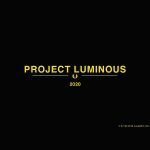 The post Image Formatting appeared first on Star Wars News Net. The post Kevin Smith Reveals What Star Wars: The Rise Of Skywalker Set He Visited appeared first on Star Wars News Net. 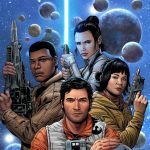 The post Non-Spoiler Review: Author Claudia Gray is at the Top of Her Game With Star Wars: Master & Apprentice appeared first on Star Wars News Net. 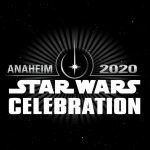 The post Star Wars Celebration 2020 Will Be in Anaheim appeared first on Star Wars News Net. 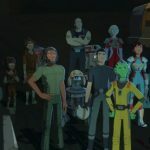 The post Star Wars Resistance Panel Recap with Review of the First Episode from Season 2 appeared first on Star Wars News Net. 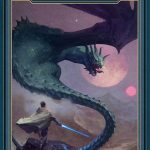 The post Del Rey Teases Something REALLY Big Coming to the World of Star Wars Books Next Year appeared first on Star Wars News Net. 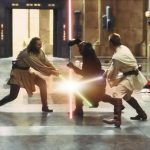 The post Star Wars: The Phantom Menace 20th Anniversary Panel Recap appeared first on Star Wars News Net. The post Star Wars Celebration – New Marvel Vader Series Announced, More on Age of Resistance, And A New Team Takes The Reigns of the Titular Series appeared first on Star Wars News Net. 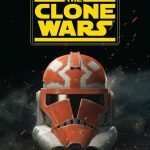 The post The Clone Wars Panel Recap – New Trailer, Clips and Concept Art from the New Season appeared first on Star Wars News Net. 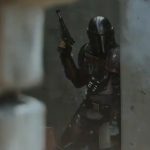 The post The Mandalorian Panel Recap appeared first on Star Wars News Net. The post Future Benioff/Weiss And Rian Johnson Trilogies To Be Developed In Tandem, Feature Film Hiatus Confirmed appeared first on Star Wars News Net. 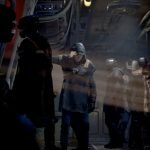 The post Star Wars Jedi: Fallen Order Panel Recap appeared first on Star Wars News Net. 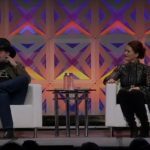 The post Star Wars Rebels Remembered Panel Recap appeared first on Star Wars News Net. 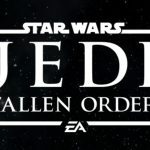 The post The Trailer for Star Wars Jedi: Fallen Order Has Arrived appeared first on Star Wars News Net. The post Star Wars Celebration – Galaxy’s Edge Panel appeared first on Star Wars News Net. 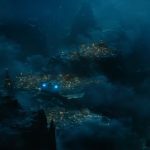 The post Star Wars: The Rise of Skywalker Trailer Breakdown + Why Palpatine’s Return Was Inevitable appeared first on Star Wars News Net. 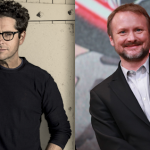 The post Lucasfilm Planning 10+ Years of Star Wars Content With Rian Johnson, David Benioff and D. B. Weiss, and More appeared first on Star Wars News Net. 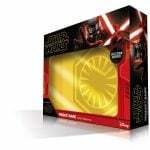 The post Official Product Packaging for Star Wars: The Rise of Skywalker Revealed appeared first on Star Wars News Net. 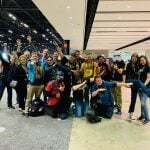 The post Star Wars Celebration: Friday Recap with Trailer Reactions and Exclusive Hasbro Interview appeared first on Star Wars News Net. 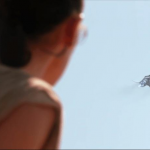 The post Star Wars: The Rise of Skywalker Will Reveal More About Rey’s Parents Without Contradicting The Last Jedi appeared first on Star Wars News Net. The post Star Wars Celebration – Lucasfilm Publishing Panel Recap appeared first on Star Wars News Net. 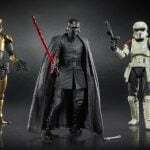 The post Star Wars Celebration – Hasbro Panel: Commander Kenobi, Retro Fett, Galaxy’s Edge Exclusives and More! 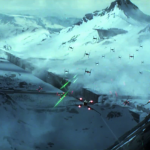 appeared first on Star Wars News Net. 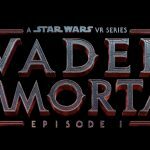 The post Star Wars Celebration – An Update and Trailer For Vader Immortal: A Star Wars VR Series appeared first on Star Wars News Net. 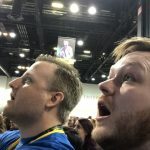 The post Star Wars: Episode IX – The Rise of Skywalker Panel Highlights from Star Wars Celebration Chicago appeared first on Star Wars News Net. 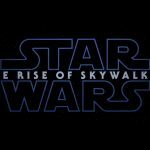 The post The Trailer for Star Wars: The Rise of Skywalker is Here and it is Glorious appeared first on Star Wars News Net. 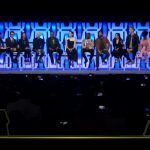 The wait is over and the Star Wars: Episode IX panel at Star Wars Celebration Chicago is now live. Watch here and share your comments below. Stay tuned for our recap later today. The post Star Wars: Episode IX Panel is Now Live. Watch it Here. appeared first on Star Wars News Net. 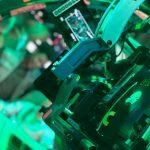 The post Report – Bob Iger Confirms Star Wars Film Hiatus After Episode IX appeared first on Star Wars News Net. 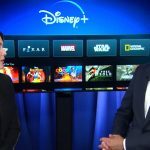 The post New Disney + Details Revealed. Alan Tudyk Confirmed for Cassian Andor Series, The Mandalorian to Launch the Service on November 12 and More appeared first on Star Wars News Net. The post Star Wars Celebration: Thursday Recap With a Fan Meetup, Costumes, Galaxy’s Edge Exhibition and More appeared first on Star Wars News Net. The post The Episode IX Piece of the Star Wars Celebration Mural has Leaked + Official Look at All the Pieces appeared first on Star Wars News Net. 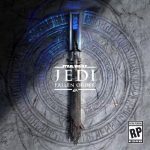 The post New Image from Star Wars: Jedi Fallen Order Leaks appeared first on Star Wars News Net. 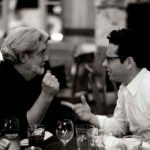 The post Guest Editorial: Clarifying J.J. Abrams’ Recent Statements on Rian Johnson’s Direction With The Last Jedi appeared first on Star Wars News Net. 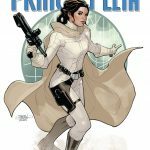 The post Review – Leia Finds Her Inner Scoundrel In Marvel’s Age of Rebellion appeared first on Star Wars News Net. 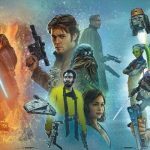 The post Star Wars Celebration: First Unofficial Day Recap With an Up Close Look at the Saga Mural! appeared first on Star Wars News Net. 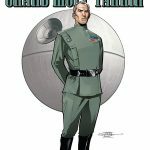 The post Review – There Is No Mercy in Age of Rebellion: Grand Moff Tarkin appeared first on Star Wars News Net. 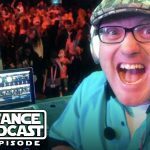 The post The Resistance Broadcast – Kicking off Star Wars Celebration With DJ Elliot! appeared first on Star Wars News Net. 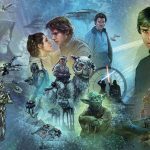 The post The Star Wars Celebration Chicago Mural Has Been (Mostly) Revealed! appeared first on Star Wars News Net.